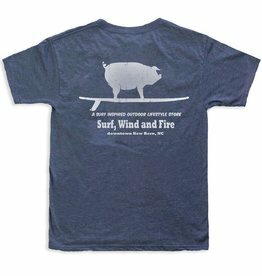 Our popular surfing pig logo on the back of a 100% soft cotton shirt. The attitude for both pigs and surfing is both reverent and intense in eastern NC. This makes the perfect logo for the location of our shop.